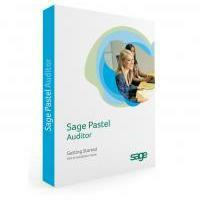 Sage Pastel Auditor – saving you 15 minutes an hour! Increasing the efficiency of Auditors and Accountants during the engagement process will save time and money – two things that businesses always need more of! With Pastel Auditor, getting to grips with the business is simpler, easier and faster. With Pastel Auditor, you can analyse trends, produce management accounts, as well as a full set of financial statements with notes. In a matter of minutes, it provides you with the “big picture” view of your client’s business, making your job of analysing the data more meaningful. Pastel Auditor is so advanced, when integrated with our other programs it intuitively draws relevant information from them, saving you at least 15 minutes an hour. You literally take back time from the mundane aspects of accounting, which makes Pastel Auditor software some of the best programming we’ve done so far! These three easy to use guides will ensure compliance as well as streamline your internal processes when it comes to your client engagement. All are included when you purchase Pastel Auditor. These methodologies are written especially to be used during the compilation, review and audit phases. They include a full list of tasks pertaining to all areas of the business, letters of engagement and representation, as well as all schedules, checklists and documents. Contact us to find out more! An easy to navigate system wizard will help you get you set up in minutes. With Pastel Auditor you can extract a full set of financial statements directly into Microsoft Excel, giving you the flexibility of customising your reporting pack into the format you want it. A “notes to financials” template is supplied that contains all of the statutory disclosure items you need. You can reach the notes to the financial statements by utilising the hyperlink situated in the Notes column on the Statements of Financial Position and Comprehensive Income. Once this link is clicked, you are taken to the direct note location within the Notes sheet. A full set of lead schedules can be extracted, simply by clicking on the item in the financial statements. A transactional-level drill down facility is included. With Pastel Auditor you can create a trend analysis at GL level. With one click you can plot a trend on each GL account, including prior and current year balances, and you have the ability to drill down to transactions, month by month. Pastel Auditor can be run in a multi user environment. Adjusting journal batches can be created, allowing you to immediately update your financials, as well as import the batch back into your source accounting software.